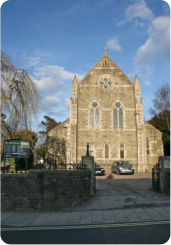 The Parish of Cinderford, St Stephen’s was created in 1880 covering three-quarters of the small town in its rural setting. 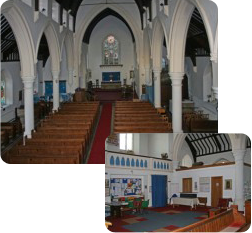 The church, on the approach road to the town centre, seats 250 and has disabled access. The church has a well-equipped kitchen, a separate meeting room, an open social area and toilets including disabled facilities. A sound system is installed with a hearing loop. At St Stephen’s there is a broad base of worship incorporating music groups, organ and piano, using modern worship songs and traditional hymns. 11.00 services are contemporary in style with worship led by a band and words displayed on a screen. 11.00 services on the 3rd and 4th Sundays of the month will often include puppets and a drama. Activities for children and young people are always provided at the 11.00 services. Tea and coffee is available after the 11.00 service each week, we use Fairtrade Filter Coffee from Indigo Valley. Other services are more traditional in form, using the organ or piano. There is a Sunday Lunch at 1pm on the 4th Sunday of the month and coffee mornings are held each Friday from 10am to 11am. Why not come along, we would love to meet you. St Stephen’s is a certified Fairtrade Church. A well stocked Fairtrade Stall is available at the back of church selling a range of Traidcraft groceries and gifts and further items can be ordered through our Traidcraft representative Rachel Witham. St Stephen’s is proud to only use Fairtrade Tea, Coffee and Sugar at services and events alongside Fairtrade Communion Wine. The church also actively seeks to use other Fairtrade products where possible. 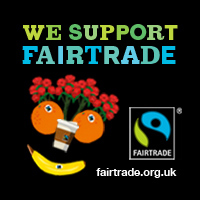 Gloucester is a Fairtrade Diocese. Children’s and Youth Groups meet weekly during termtime. Please visit our Children and Youth pages for more information. Many of the congregation at St Stephen’s are involved in mid-week activities including Bible studies (Lectio Divina), Prayer Meetings and Women (SHINE) and Men’s (BoB) activities. St Stephen’s hosts the Cinderford with Littledean branch of the Mothers’ Union with over 20 members. There is also a 10.00am Holy Communion on the 1st and 3rd Wednesdays of each month. Tea and coffee is provided afterwards.